There are a million and one things I want to blog about. But it's the end of the school year (Five more days... not that I'm counting!) And I'm super busy. Not only am I trying to get my class ready for next year, I'm trying to get my KID ready for next year, too! Not just any kid, though. My kid who also just happens to have type 1 diabetes. Otherwise known as a pancreas that crapped out WAY TOO SOON. Tonight I have just spend HOURS in front of this screen working on her 504 plan for next year. Next year she will be in kindergarten. She will be in school all day long. Things will be different. Her care plan needs to reflect this. I don't want to wait until the last minute. I don't want to wait until summer when everyone is on vacation. I don't want to wait until school is ready to start because that is a crazy enough time without throwing all this into the mix. No.... It needs to be done. NOW. And so we are meeting tomorrow morning. I'm lucky. I know it. I am blessed. And I am grateful. I teach kindergarten in the same school where Sweetpea will attend. I will be there all day. This makes me happy. I STILL think it is of the utmost importance that we have a plan in place. And we need to have this plan in place because doing it now when everything is wonderful is much easier than trying to get one in place when everything is... not. It's important. I highly recommend it for every.single.child attending school with diabetes. To see the plan we are using this year, click HERE. You can also look at the "School Stuff" tab above. You'll also find lots of other sheets and resources for school - or even good for church, babysitters, or playdates! I've also included the new glucagon directions that you can print out, cut out, and place into your glucagon kits. It's much easier than the one that comes with it and the one that's in the lid. Trying to figure out the picture when you're panicking and your hands are shaking just doesn't work. Trust me. It's hard for me to ask for help. It's hard for me to ask people to do special things for me and my child. Even if we need it. It's hard to acknowledge - in black and white - that my child is not like every other child. She has some special needs. She needs some special care. I'm at the end of the THIRTEENTH YEAR teaching. (Good Hell.... I'm getting old.) I've worked with LOTS Of kids. And LOTS of kids with special needs. I've done autism, speech delays, spina bifida, muscular dystrophy, PDD, Asperger's Syndrome, dyspraxia, hearing loss, ODD, ADD, ADHD, and things that have no "label". I have even done type 1 diabetes on more than one occasion. I loved them all. Each and every one. I've sat in on all kinds of IEP meetings. I've helped with all kinds of academic and behavioral goals. I've monitored progress. I've made accommodations. I've talked with doctors. I've filled out medical surveys and questionnaires. I talked with parents. I've shared their joys. I've shared their tears. But this is MY child. I just never expected to be doing it for MY child. It's made me a better advocate for her. It's made me more compassionate. It's made me more understanding. It's made me not only a better person, but a better teacher. What an incredible post, Hallie. Thank you for sharing this. It's eye-opening to read this, particularly from someone who's in the teaching shoes and must deal with these types of plans from that perspective. Great stuff, and good job for planning ahead. Sweets is very lucky to have you! "to acknowledge - in black and white"... it DOES sting. Its hard to do everything in your power to make them feel like everyone else; just to single them out for help in writing. I hate this time of year. The IEP's, the 504's and even meeting new teachers who need to know. I hate feeling like one of "those" parents. I am sure K will go great!!! She will do great and so will you. You will be prepared, she will be more independent and everything will go well. Kindergarten is so exciting!!! 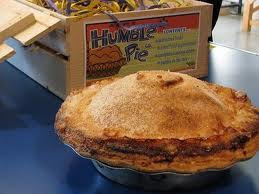 No humle pie (necessary) for you!! You are brave and dedicated every day. I don't know how you mothers of diabetic children do it. What you are doing on line and in person to educate people about this difficult disease is so helpful and worthwhile. Both for you and your immediate surroundings and for anyone who follows your blog. I recently witnessed an event where a coach (a very good one) was indirectly punishing an athlete for poor performance because she didn't understand the implications of her diabetes. It wounded me to my soul. What you do is preventing this from happening. Thanks for sharing this, as it does provide a bit if the many, many factors that parents of kids with diabetes need to consider. Of course, the challenges are that 1) determining how well (or closely) the school teacher and/or administrative staff at the school can and will follow these instructions, as the rules are multi-faceted, and teachers have not just one student, but an entire classroom to look after and try to teach. Also, the level of adherence to these rules may be addressed in writing, but ultimately, it may be impacted by other things going on in the classroom at any given time, how clear the instructions are, and how receptive the teacher is to learning about these things -- no small task, indeed! Like some others, when I was in school, there was no such thing as a 504, nor was there even a school nurse, but I did have very caring teachers who did know their students pretty well, so most could tell if something was not quite right. When all is said and done, I think the child and parents are responsible for most of day-to-day care, and we deal with issues when they come up in the best way we can at the time, but perhaps there's some divine intervention, too! WoHOOO for K-garten and for getting this stuff out there for others to use. I hate "reinventing" the wheel. We limped through this year without a 504...even though we asked and asked. This coming year, with a new principal (woohoo) and a new nurse (woo-freaking-hoo) we WILL have a 504 and will be more 'pushy' about making sure Bean is protected. Thank you for all of your infomation, and your true, honest feelings about all things diabetes. My daughter was diagnosed 1 1/2 years ago and has been in public preschool for the past few months. I have done so much reading, research, crying, etc. It is nice to know my feelings are "normal". My Diva's (nickname) 504 meeting is tomorrow, and of course, I'll probably be reading until the minute we walk in. I hope for the best, but haven't had a great experience. The school has seemed to put training, staffing, etc on the back burner because it is summer. Diabetes doesn't take the summer off, and they should know. The principal's son is type 1. This gave me false security when we enrolled for the summer program. I appreciate all the access you give the rest of us to your life. I honestly don't know what I would do without the internet in trying to be the best mom & nurse for my Diva. Thank you, again. Hello, I'm preparing for my five year old to start kindergarten in the fall and I'm more than a bit concerned about her safety. I like your 504 plan, is there WORD version of it that you could post so that others can copy it?